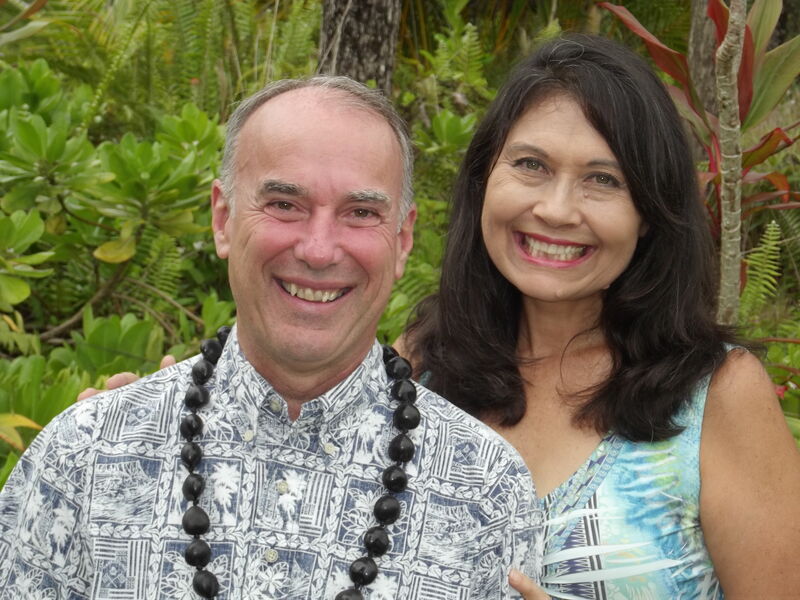 Elaine Thomas and her husband make their home in East Hawaii on the Big Island. After years of traveling the globe (through Gary’s military service and ministry) they have put down “permanent” roots. With 6 children and 12 grandchildren (living in the Hawaiian islands and abroad), travel continues to be a part of their lives. 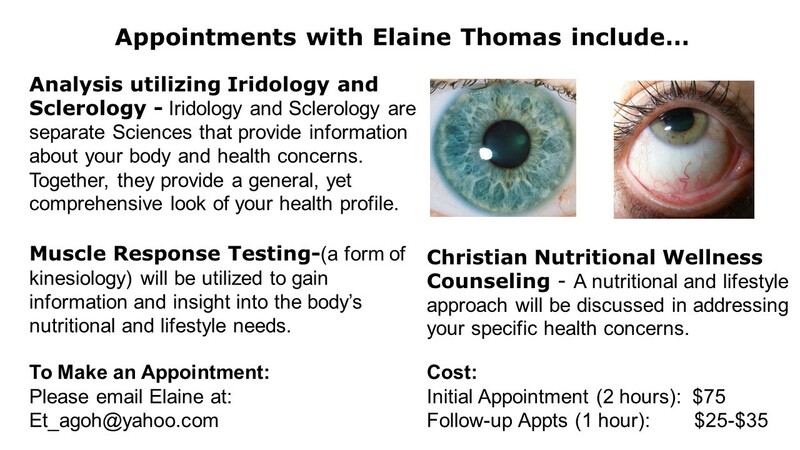 Read more about Elaine’s Health Journey here. Some of Elaine’s greatest health related challenges have come from her own family, especially with her husband, Gary. While Gary’s fitness level was outstanding, he had several health conditions which required daily medication and frequent surgeries. Gary suffered two conditions (medically incurable) which kept him dependent on medical intervention. Not willing to accept high levels of energy and fitness without corresponding health, Elaine set out to transform her husband’s physical condition. She knew from experience that it would be a matter of time and he would not be able to maintain his fitness; his energy would fall. Three years after their marriage, Gary developed cancer from one of his medical conditions. Making the decision to put the health principles Elaine has taught into practice and forgoing traditional cancer treatment, Gary was able to transform his health. Gary overcame the cancer (without traditional medical treatment) and he continues to be cancer free! Today Gary has no medical conditions requiring medication or surgery. The road was not always easy. As a military officer (retired, USAF Colonel) Gary stood ready to serve and protect his country. After his first combat tour the cancer returned. He learned the valuable lesson that “if you do what you’ve always done, you’ll get what you’ve always gotten” – it’s not about a diet or program, it’s a lifestyle. Gary applied the health principles he had previously adhered to and overcame the cancer; again, without medical treatment. He went on to serve two more combat tours (he served in Afghanistan, Iraq, and Qatar). Today, Gary remains healthy and cancer free! Since his last battle with cancer in 2005, he strives to live a healthy lifestyle. Elaine considers it a full time job keeping her husband healthy! The rest of her time is spent seeing clients, teaching classes, conducting seminars, working in her garden (organic! ), and visiting her grandchildren. She works tirelessly to promote Biblically sound health building principles to help others to help themselves. When not in the public eye or spending time with family, you’ll find Elaine hard at work at her computer, doing her best to get the information to you… keeping it simple, teachable, and affordable!